Isn't it hard to get gifts for your parents? Neither of my parents really want anything, so I am usually at a loss when it comes to holiday presents. This year for Mother's Day I decided to make something for my mom. 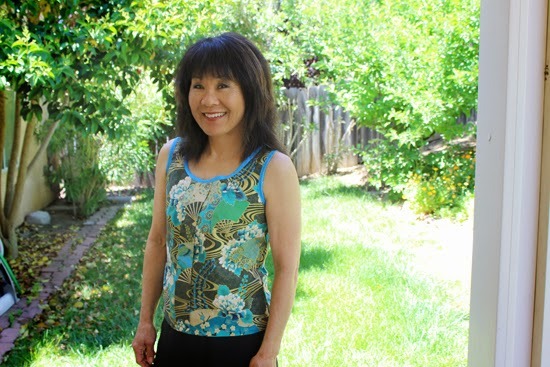 I've made her little knick knacks in the past and she has always been really grateful and enthusiastic, so I decided to make her something different for Mother's Day, a Sorbetto tank top. 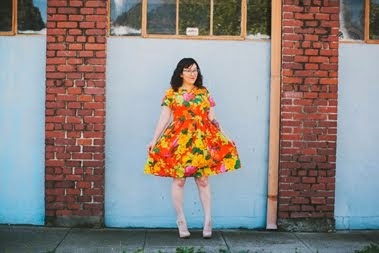 Sorbetto is such a great and quick pattern to sew. Perfect for gifts, not too hard to fit (I just got my mom's bust measurement and went by that), and uses only 1.5 yards of fabric. You can't go wrong! And now what you're waiting for, the giveaway winner! Nicole from Pudge and Nico is getting two yards of a gray knit fabric from The Fabric Store and the new The Colette Guide to Sewing Knits. Can't wait to see what you make, Nicole! Very cute Mother's Day gift. It came out beautiful! I love the fabric. Giving a hand sewn gift to someone who appreciates it is the best. Shaq totally brought you luck! Do you ever watch him on TNT? Him and Charles crack me up! I REALLY like your versions. I never thought to do a yoke with contrasting fabric. Such a clever idea! Your mom is too cute!! 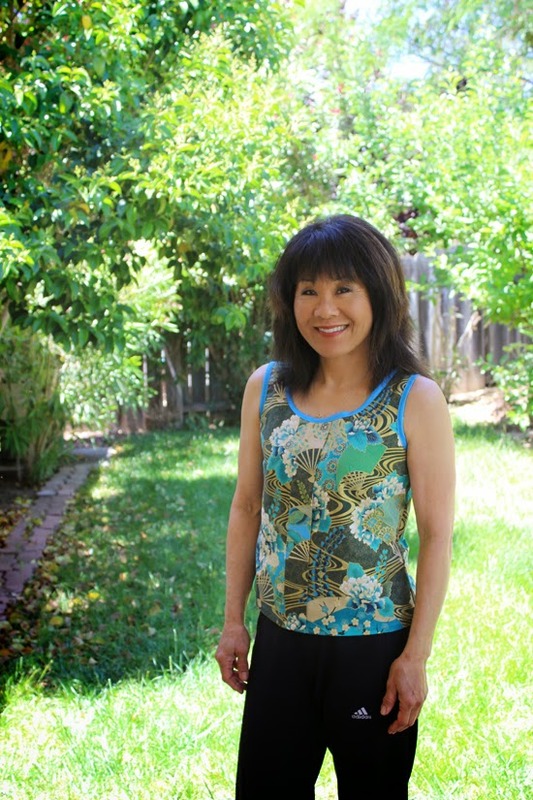 You did a great job on this top, too--love the contrasting binding! Yes, my husband and I are Spurs fans, so we see them on TNT often. I am always just SHOCKED by how crazy they are...they seem like they can get away with anything! You're a Lakers fan, right?